Palli Karma Sahayak Foundation (PKSF), in observance of International Women’s Day, organized a seminar at PKSF auditorium on 28th March, 2017. Dr. Qazi Kholiquzzaman Ahmad, Chairman, PKSF chaired the seminar. 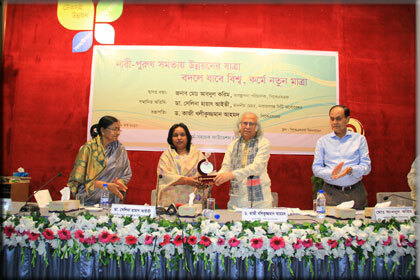 Dr. Selina Hayat Ivy, Hon’ble City Mayor of Narayanganj, graced the seminar as the honorable guest. A number of female officials from PKSF as well as those from its Partner Organizations (POs) gathered on the occasion. 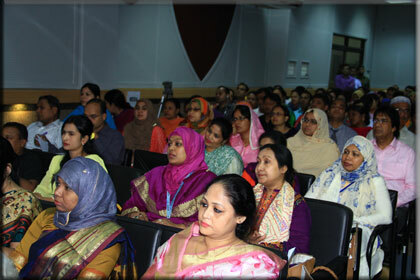 Moreover, PKSF’s high officials and other staffs took part in the seminar. Mr. Md. Abdul Karim, Managing Director, PKSF, in his welcome address, mentioned that, the women of our country are now performing important responsibilities in different sectors including the administration of the government. 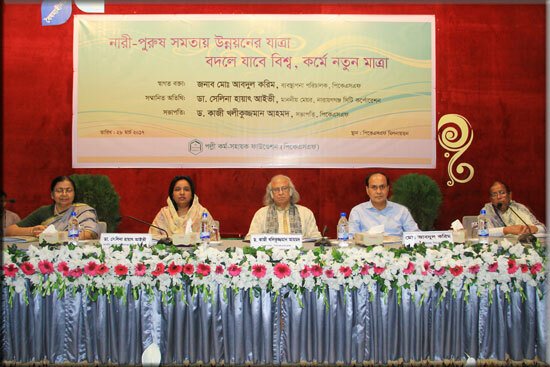 Begum Rokeya, Executive Director, Sabalamby Unnayan Samity (SUS) presented a resourceful essay in the seminar emphasizing on gradual development of the status of women in Bangladesh. 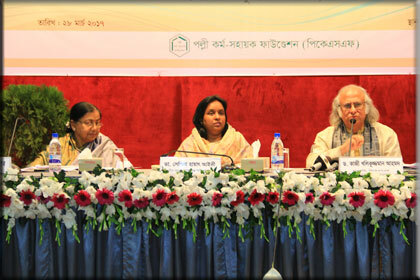 Also Dr. Pratima Paul Majumder, a member of PKSF’s Governing Body, addressed the audience of the seminar. 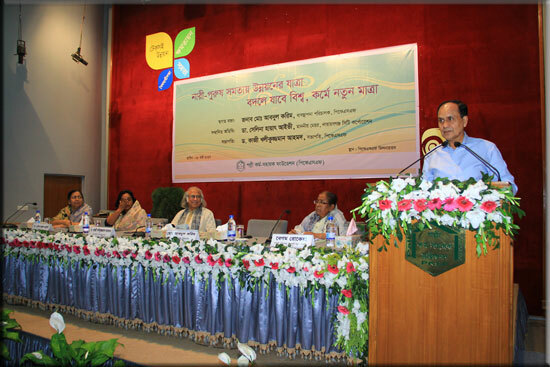 Chairman of PKSF, Dr. Ahmad highlighted that though Bangladesh is making significant progress in many global indexes regarding the issue of women empowerment, women repression and child marriage are yet to root out. Dr. Ahmad also moderated an open discussion. Later, he handed over a crest to Mayor Dr. Selina Hayat Ivy for her excellent contribution towards women empowerment. He acclaimed Ivy for her courageous role she had played and not to bow down in the face of all difficulties to attain her incumbent position. 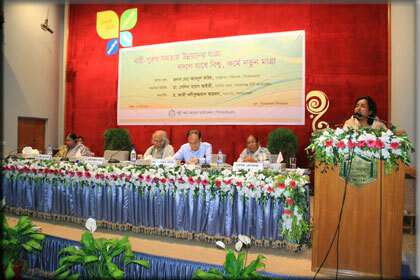 Mayor Dr. Selina Hayat Ivy stated that, men and women should step forward together for sustainable development. When a woman is educated, nothing can stop her to expose her potentials. So female education should get more importance for women empowerment in the days ahead.